Vincent refuses to let go of his mission to kill the last beast-hunter, but ends up killing his last hope instead. At least Cat has an epiphany that should put the normalcy quest into perspective. We also learn that nets are deadlier than bullets, mercenaries don’t have smart phones and that the District Attorney’s office is not the best place to get a boyfriend. It is a new day in the land of circular plotlines. And since all the characters keep having lengthy conversations about recent developments, chances are you remember exactly what is going on. But in the spirit of BATB S4, I am going to tell you anyway. Cat is still pretending to work for the DHS [I think], even though a countless number of suits are hunting down Deputy Hill’s killer (Vincent), yet none of them seems bright enough to realize that “Agent Chandler” is not really going to betray her hubby in the name of national security. Meanwhile, Vincent is playing double agent hoping the Graydale folk will lead him to whoever is after him so he can finally put an end to his beast misery. This plan is obviously dumb. Even if V kills this particular [faceless, nameless] nemesis, there is ALWAYS going to be another one. So… Finally, Tess is dating again. She’s dating an A.D.A…. you know … because things worked out so great for Gabe and Cat. There is also a new issue: Reporter GRACE ROSE, who has been collecting information about Vincent and was able to put together quite a few pieces of the puzzle. She confronts Cat and claims to know that V was part of a super soldier military experiment gone awry. Grace also concludes that Cat is still helping V, so she must think he is innocent. Cat denies it. All this unnecessary plot twists basically bring V back home where Cat informs them about their new precarious relationship with mass media and convinces him that they need to get out of town and go to the CABIN OF BEAST EPIPHANIES. It’s there that FINALLY Cat says what should have been obvious 9 episodes ago. Whatever happens, they will never be able to recuperate their “normal life”. In Cat’s words “Normal is lost”. Sad, but true. This epiphany leads to Cat suggesting that telling Grace their story may not be the worst option. And you know what? I said ‘Why the hell not?’ It’s not like they had many other options, so I was actually on board with the plan. Elsewhere, Tess was starting to contemplate a beast-less life, but still struggling with the moral implications of her past actions. She seeks comfort in her new beau by asking him a hypothetical question in the form of “my friend is a good cop but broke the law for good reasons”. She was obviously talking about herself but ADA handsome didn’t seem to notice [Seriously, dude there is NEVER a friend], so he tells Tess that her “friend” should be arrested and that the world has no shades of gray or something along those lines. This makes Tess suddenly feel all guilty and decide to quit being a cop, but JT convinces her not to do it by promising to keep her away from all things beast. JT’s promise was kind of sweet, but this storyline was ANOTHER circle that ended in the exact same place. Tess is a cop, she doesn’t want to be involved in beast stuff. BACK TO THE CABIN OF PREDICTABLE DEMISES. Vincat ask Grace to come over and they tell her their story but do a crappy job at explaining Vincent’s motives. [You’d think they would have coordinated their story before Grace arrived, right?]. Grace is not sold, so she threatens to leave, which pushes V to reveal his true nature. But Grace’s beast awakening is interrupted when Tahmoh crashes the party and goes into a shooting spree. Grace gets shot and dies, shocking precisely NO-ONE. There goes their last beast-redemption hope. V runs away into the woods to lure Tahmoh away from Cat. This week Vincent has no trouble being “faster than a speeding bullet” [unlike when he was shot by the accountant], but Tahmoh came prepared with… a net. Yes, a net. That was the beast’s undoing. A NET. So, anyway, Tahmoh catches Vincent with the net and texts the big bad to let him/her know he has the most wanted beast in the world. All seems lost until Cat arrives and points her gun at Tahmoh. He goes all cocky-mercenary on her and calls her bluff, concluding she is too good to kill him. And Cat actually lowers her gun [which was incredibly stupid]. It takes Tahmoh less than a second to pull his gun and shoot Cat, she evades the bullet and this time she shoots Tahmoh dead. But it was in self-defense, so “Cat is still a good person”, which felt like an overly simplistic set-up, in my opinion. I wonder if people don’t run background checks on V/don’t fire him from jobs because he is so good looking. Vincat keep talking about “normal”, but to be fair, how long did they actually have a “normal” life? Probably for a few months between seasons at most. Technically, they never really had normal. And it was kind of their thing…Cat didn’t “need walls or doors” her normal was when she was with him. So, even though I understand the impulse to aim for “normal”, I think it should have been established by now that they ain’t getting it. I think it would have been 10 times more poignant if Cat had just shot Tahmoh from the get go. He was baiting her and what he said was right. She had no choice, to save Vincent she HAD to kill him. She couldn’t let him go, she couldn’t arrest him, she had to kill him. And I think Cat loves V enough to actually do it. Plus the moral implications would have been better (and yes grayer). The self-defence thing felt like a cop out to me. i actually really liked this episode despite the plotline. i liked their interactions and to me it was important that as u said they FINALLY admitted to themselves and each other that normal is not really an option. That's interesting. You know I'll be thinking abt that while I watch EVERYTHING now! I already have a bit of a problem with that, from a continuity angle. I swear I'm not deliberately looking, but things as simple as as a lock of hair being wrong or liquid level in a glass, just jump out at me. THEN I start looking for it whether I want to or not. I also liked this ep. Agree that (as usual) much of the actual plot detail was unnecessarily convoluted, but it was so refreshing that finally they admitted what a mess they were in and that they weren't going to be able to have a normal life. And that there were consequences. Yes it was kind of obvious that Grace would die, but after last week I half expected V to McGyver surgery for her with his wood axe and tree sap, or something. It was also good that Tess (dumb meetings with ADA guy aside) pointed out to JT that the woman DIED. So yeah, still some issues but overall this ep was a vast improvement on the previous few. The V mcgyver thing cracked me up! hehe I see most ppl felt positive about this ep which is great and I did like all the things you guys are mentioning, it was just all the unnecessary filling that bugged me. They should be building the episodes around those good moments. I certainly can't argue with that! Another strange circumstance is why Cath thinks anything gets better if they go public. The reporter was going to write that Cath thinks Vincent is innocent and then what did she expect would happen? Nothing good, as far as I can make out. Except that Cath is then definitely out of DHS. Going public was a solution that would have lead nowhere. I did like this episode, very much so, in fact. 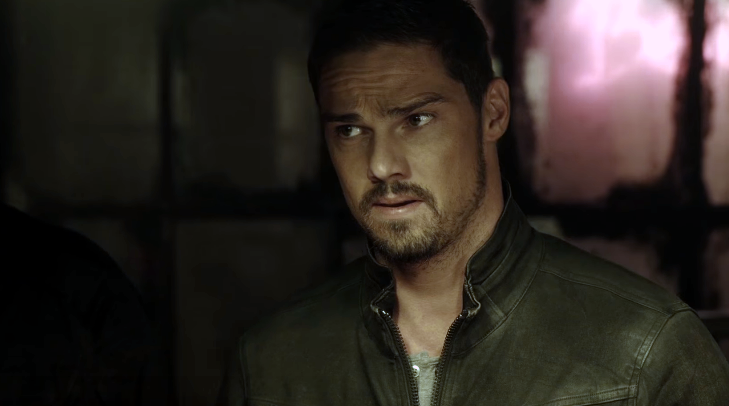 I thought it was the best episode this season both VinCat & story wise. Still, I understand where you're coming from. You know how writing a script is (and you're really good at it), and you know how it should be done. I guess I've been so deprived of real VinCat feels and interactions that this episode's flaws didn't bother me at all, because it gave me what I wanted VinCat wise. Am I making sense? Firstly why TAMOH? LOL ~ I've missed putting in my 2 cts b/c of exams so I might have missed any earlier reference to this nick! I do like the actor they got for this role tho! 409 would have been my favorite and IMO the best ep of both seasons 3 AND 4 if the writers weren't such fanboys of detesstable that I could actually watch the whole ep through without skipping all her scenes ~ something I haven't been able to do since S2 sadly! I was actually surprised that Grace died ~ since we are nearing the end ~ I thought her expose would exonerate V once n for all ~ so I'm giving the writers a thumbs up for taking that off the table and leaving me in the dark again? I just saw the title for 411 and seems to be a major spoiler as to the ID of the Big Bad whom I feel is going be a total let-down ~ I hope they prove me WRONG! Love the scene with Cat to the rescue ~ I thought the little moral hesitation was a nice touch but you're right Ale ~ she had to shoot him any way to save V! Poor Beast thwarted by a NET ~ that was so Dominion for me! And Tahmoh b/c I can't remember his name now had phone reception when V didn't?? VinCat's last scene together in the car was an exquisite gutwrenching goodbye </3 just got goosebumps again thinking of the emotions conveyed ~ that song ~ the heartbreaking kisses ~ Cat's "you better" reply aaaahhhhhh SOBS! All the chills n feels ~ love love LOVE!!! I would have died if this was the S4 finale ~ just like S1 :O TG I know we will get a happy ending! I agree. Loved all the scenes you mentioned. And I also want JT to stop having an existential crisis each week. I think JT knows who he is at this point.